It's vacation time, and your poodle is coming with you! Pet friendly travel lets your dog and you relax and helps make a vacation with your pet a little less stressful. Whether you're driving or flying, there are some things you need to know about traveling with your poodle and pet vacations. Poodles love riding in the car! While it can be amusing to see his head hanging out the window, long ears blowing in the breeze, it is much better to have him restrained in a canine seat belt or in a carrier while he is in the car. It's safer and can prevent health problems like foreign objects lodging in his eyes and ears from the highway. It also prevents her from being thrown inside the car during sudden stops, accidents and turns. If traveling long distances, bring pet food along in the car. Toys and puppies can't go too long without eating. Be sure to have water and stop every 1 to 3 hours to potty and walk your dog. If you're flying with your poodle, check with the airline to see if there are any specific rules. And don't forget his doggy suitcase. If your poodle is staying home while your family vacations, kennels will board him until you come home. Pet sitters can come to your house and watch your dog. If you're staying in a hotel on vacation, call ahead to be sure they accept pets and are one of the pet friendly hotel chains. 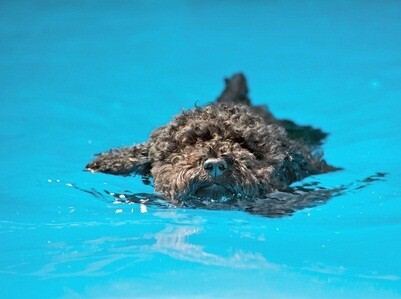 And take safety measures if your poodle is around a pool or in the ocean. Poodles are often welcome hotel guests as they don't shed, but not all hotels allow pets. Some may require a crate for him to sleep in overnight or proof of obedience training. 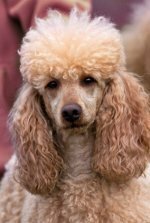 If you go out and leave your poodle alone in the hotel room, turn on a radio or tv for noise. He may be scared being in a strange place by himself and potty accidents or chewing binges are possible. Keep him in his crate if he's in the hotel room alone. Pet friendly travel and vacations with your pet can be fun for the whole family. 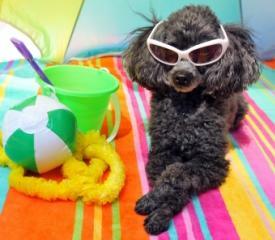 By planning ahead, your family and poodle can have a stress free vacation and make memories to last a lifetime.